Trey K. Crew serves as a residential appraiser for Metro Appraisals. He became a Certified Residential Appraiser in 2016, and been in the appraisal industry since 2012. 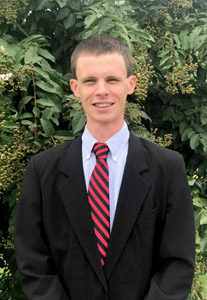 Trey graduated from the University of Georgia in 2012 with a Bachelor’s of Business Administration with an emphasis in Real Estate and has been employed with Metro Appraisals since January 2015. A native of Watkinsville, Georgia, Trey currently resides in Athens.